DEARBORN, Mich. and COSTA MESA, Calif., Jan. 29, 2019 /PRNewswire/ -- Why did Carhartt and Hurley – two brands with a long history of making purpose-built gear – join forces to #OutworkTheWater? When considering approximately 71 percent of the planet's surface is covered with water, and nearly every person in the U.S. is within range of an ocean, lake, stream, pond, or creek, it starts to make sense. 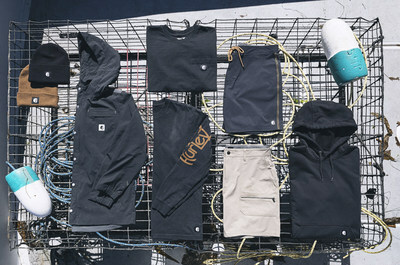 The country's top surfwear brand since 1999 and America's leading workwear brand since 1889 today launched the four-season Hurley x Carhartt product collaboration to support hardworking individuals whose lives are defined by water. The debut assortment features nine products that blend the brands' defining characteristics of durability, functionality, and mobility. 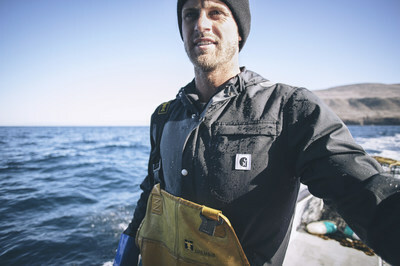 "In the same way Hurley is still driven by its founder's vision to empower peoples' passionate pursuits in and around the water, Carhartt remains committed to serving the needs of hardworking people 130 years after Hamilton Carhartt crafted his first bib overalls," said Tony Ambroza, chief brand officer at Carhartt. "Whether you're a surfer, fisherman, craftsperson, or avid outdoorsman, this collaboration delivers purpose-built gear designed for those who live to #OutworkTheWater." Remaining true to each brand's origins, the Hurley x Carhartt collaboration features functional, lightweight, and durable products inspired by the brands' iconic styles. Included among the refined classics are the Workwear Pocket T-shirt, Acrylic Watch Hat, and Board Short. "We're honored and excited to be working with the Carhartt team on such a fun project," said Hurley Creative Director Ryan Hurley. "We've always admired Carhartt's 100-plus-year commitment to making durable, functional gear for the elements, and we can't wait to share the results of our collective thinking around products built for the water." The spring product release will feature nine styles including men's and women's pieces. The introductory men's styles include a jacket, pullover, beanie, and short, as well as a long and short sleeve T-shirt. Included in the women's launch styles are a jacket and long sleeve T-shirt. Throughout the year, three additional product launches will correspond with each season to ensure consumers have the gear necessary to #OutworkTheWater all year long. Future seasons will feature a wide range of styles including hooded pullovers, ball caps, graphic T-shirts, bibs, vests, and jackets. 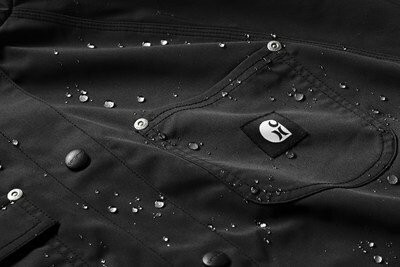 To shop the Hurley x Carhartt collaboration, please visit www.hurley.com. 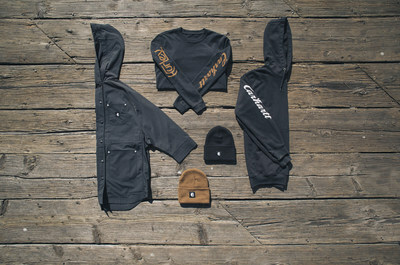 To learn more about the collaboration, please visit www.carhartt.com/content/hurley. Established in 1889, Carhartt is a global premium workwear brand with a rich heritage of developing rugged products for workers on and off the job. Headquartered in Dearborn, Michigan, with more than 5,400 associates worldwide, Carhartt is family-owned and managed by the descendants of the company's founder, Hamilton Carhartt. For more information, visit www.carhartt.com. Copyright © 2019 Carhartt, Inc.